Product prices and availability are accurate as of 2019-04-19 06:10:11 EDT and are subject to change. Any price and availability information displayed on http://www.amazon.com/ at the time of purchase will apply to the purchase of this product. 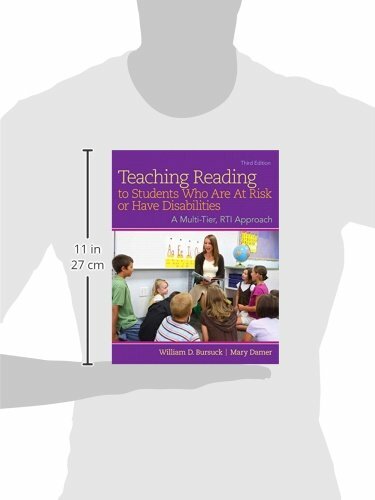 At a time when public focus on children who struggle with learning to read has never been greater, Bursuck and Damer’s Teaching Reading to Students Who Are at Risk or Have Disabilities, 3/e does an extraordinary job of answering the charge to help all students succeed at reading. 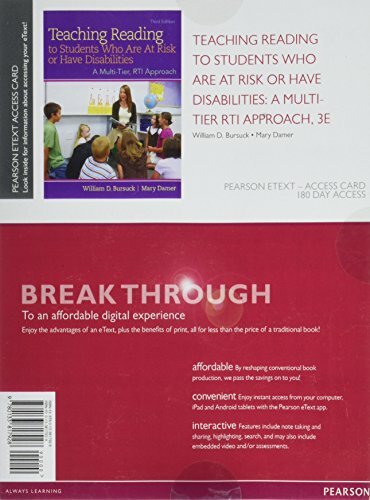 Now in a newly updated Third Edition, this text describes, in a clear, step-by-step fashion, how to implement a systematic, explicit, success-oriented approach for teaching struggling readers in today’s accountability-driven schools. When recently evaluated in terms of relating to the Common Core Standards in Early Reading, this book was described as one of the few textbooks “comprehensively and rigorously covering the scientific basis and instructional elements of the five essential components of effective reading instruction.” Integrated throughout are authentic, research-validated, reality-based strategies, accessible language and video demonstrations, and checks for student understanding. The Enhanced Pearson eText features embedded video, assessments, and links to related content on the web. Pop Up checks for understanding. Increased emphasis on the needs of Tier 3 students in Response to Intervention programs. Coverage of the new DIBELS Next assessments and norms and AIMSweb Rate of Improvement scores. An expanded chapter on fluency. Additional strategies for a more in-depth approach to teaching comprehension. 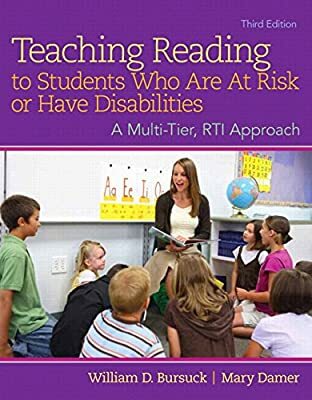 A look at issues related to the differentiation of reading instruction for students who are at risk given the increased text complexity demands required by the Common Core Standards.